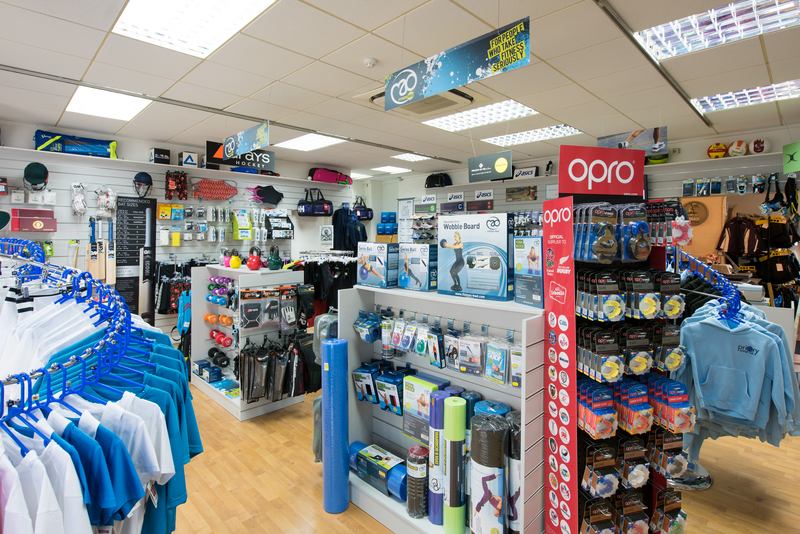 FITNESS- We stock a range of fitness products including yoga and fitness mats, foam rollers, wobble boards, Swiss balls, massage balls, skipping ropes, resistance bands, cross-training gloves, kettle bells and dumb bells. If we don't stock what you want, we can order many other products with delivery within 3 days. Ask in store for details. SWIMMING- We stock swimming costumes, goggles, nose clips, ear plugs, swimming hats and arm bands for adults and children.